Vancouver is such an enigma to me: – WHO KILLED THERESA? 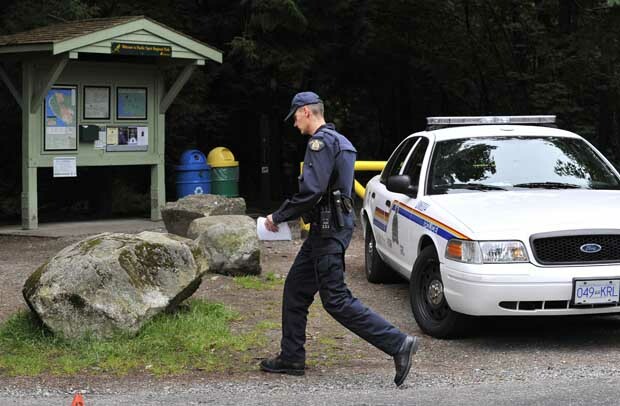 In a chilling replay of the scene at Vancouver’s Pacific Spirit Park just over a year ago when 53-year-old Wendy Ladner-Beaudry was found murdered on a running trail, police combed the park again this weekend searching for clues to how and why the body of an unidentified woman had ended up there. RCMP were called to 33rd Avenue and Camosun Street in the park near UBC, on the city’s west side, around 8:30 p.m. Saturday. They confirmed the following morning that the body of an adult female had been found, but cautioned people not to leap to conclusions based on the park’s history. “I would ask the community not to make any assumptions based on the incidents that have happened in this park before. It is not clear what the cause of death may have been or what led up to this death,” said spokesman Sgt. Peter Thiessen. While he did not provide the victim’s age, he referred to her as a “young” woman. Ladner-Beaudry, an avid runner, had just entered the park near 41st Avenue and Camosun Street — eight blocks from where police are now searching — on Friday, April 3, 2009, when she was attacked. Her body was discovered by a hiker on the park trail the same afternoon. Her killer remains at large. The crime — a savage, seemingly random attack in broad daylight — shocked the community to its core, spurring a “Take Back the Park” walk in honour of Ladner-Beaudry, who was co-chair of the BC Games Society and was particularly involved in promoting sport and physical activity among women in B.C. The victim was the sister of former Vancouver councillor and mayoral candidate Peter Ladner, and had two daughters with her husband, Michel Beaudry. “She was a loving wife, a dedicated mother, a consummate professional and a source of joy, love, and inspiration to everyone she met,” Beaudry said in the days following her murder. On Sunday, Thiessen described the Ladner-Beaudry investigation, which initially involved up to 70 officers, as “still very active.” This April, one year after her body was discovered, police released a video on YouTube asking for the public’s help in solving the crime. Police will release more details about this latest death as they become available, Thiessen said. He said there are now a “couple of dozen” investigators assigned to the case and that the number will probably change depending on findings. The RCMP’s Integrated Homicide Investigation Team is leading the investigation. “We’ve got a lot of work to do in there,” said Thiessen, motioning towards the woods. Police will be removing the body later in the day, he said. In the meantime he advised that anyone wanting to hike, bike or run in the park go north of 16th Avenue to gain entry. Joggers and cyclists paused to check out the scene Sunday, where police had cordoned off several blocks of Camosun Street. They noted it was hard not to make connections with the Ladner-Beaudry case, given the proximity of the two crime scenes. Rachael Ruus, who was running in the area with friends, said she had avoided the park’s more secluded jogging trails following the discovery of Ladner-Beaudry’s body, and had only recently started returning to the area. “I definitely won’t be running in there alone again,” said Ruus. In the link to the CTV News story that I sent you last night, they are saying that they know who the victim is, just not releasing her name or how she died.